Hello Friends, I hope all is well in your world. Most of you know that I have a channel on YouTube and on most Sunday’s I have a feature “Brunch with Blake”. Last week’s recipe was Chicken Enchiladas which I made especially for my youngest son who is home for Spring Break. This is a quick and easy recipe and I was able to use my new tongs and spatula from Bobbi Jean’s Kitchenware. I have several stainless steel tongs in the kitchen drawer however, the sets from Bobbi Jean’s Kitchenware have thick silicon tips which prevents scratching and abrasions to pots and pans. Bobbi Jean’s Tongs Set come with a FREE Bonus Spatula and the 9 inch tongs are great for shorter reach when preparing food. 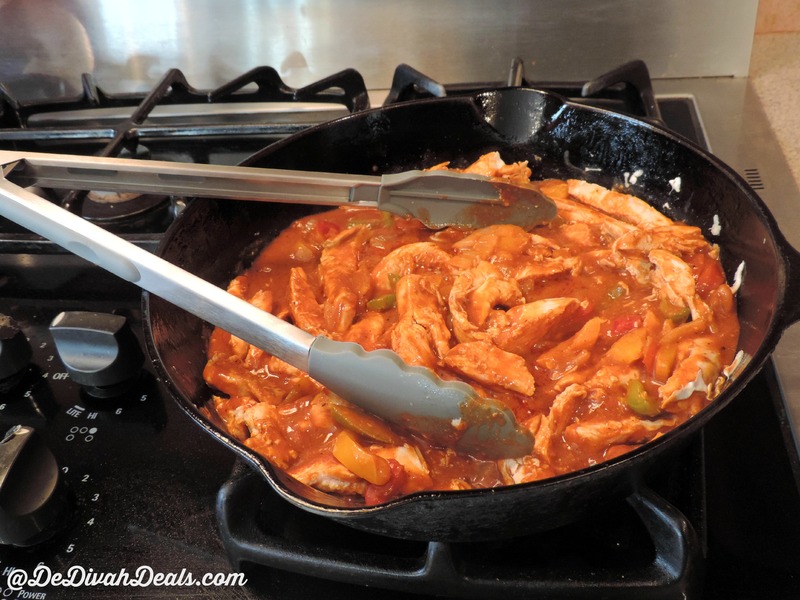 The 12 inch tongs are perfect for deep pots & serving food and were great for stirring the Chicken Enchiladas. The tongs are a dusk grey and the FREE BONUS Silicone Spatula with a stainless steel handle is Pea Green. The curve shaped spatula is perfect for blending dishes & scraping bowls which I will be using when I bake a cake next week. Another great feature is their heat resistance which is up to 480°F, perfect for pan searing and deep frying. Check my YouTube vlog to see the full Chicken Enchilada recipe and how I used each of the Bobbi Jean’s utensils. That’s what I’m talking about! An iron skillet!!! Yes, I have several and this is my favorite one. Oh my, looks SO good!! Thank you Shauna, it was a great midday meal for my men. We have to have Mexican food at least once a week in this house. You’d love these tongs as they are sturdy and definitely scratch free. Wishing you and the girls a wonderful weekend. Come on over and pull up a chair! Please forgive me if you have 2 posts for somereason it kept showing on my end it wasn’t going through! So anyhoo……. You have done it again created pure yumminess. My family would eat that up in a heart beat! Suzie, nope only got it once and thank you. 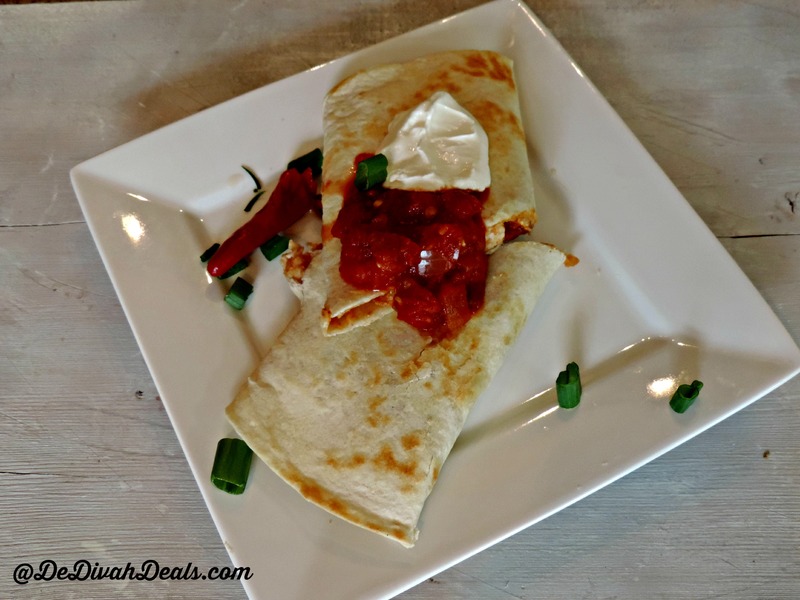 Gotta love a good chicken enchilada…if you happen to be in my neighborhood – stop in! Chicken enchiladas are one of my favorites. I know your household feasted well on this brunch!!! Yum. Renee, yes, they loved it and it was fun to make. Hope you are enjoying the weekend.